When you think of poker, you probably think of ESPN tournaments and young men in hoodies and sunglasses. Or maybe you think of the likes of Wild Bill Hickok and backroom barrel games of 5-Card Draw in sepia saloons? Perhaps you just think of the online poker tables at Bet365 Poker. Well, there are more things in heaven and earth than are dreamt of in your poker world. Poker has near-infinite variants, so why not take some time out from the Hold’em tables to give some of the following Bet365 games a try? The game of 3-Card Brag is actually two games in one. In the main game, you are dealt a single hand of (guess how many) three cards, which must beat the dealer’s hand in order to win. The secondary game is the Pair Bonus, in which the result and your winnings depend only on your own hand and the dealer’s holding doesn’t matter. You can play both games together, or either one at the same time. Choose your game by placing an Ante bet, a Pair Bonus bet or both bets. Press Deal and you’ll receive three cards; the dealer receives three face-down cards. 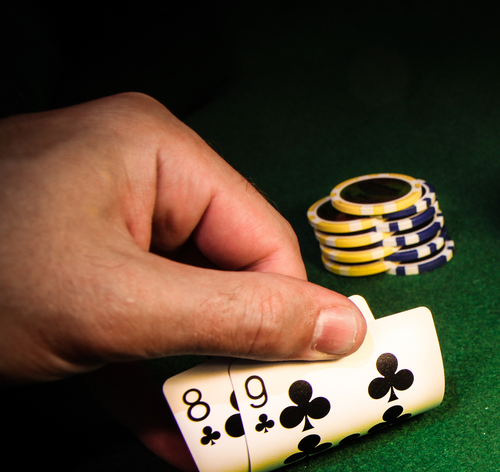 If you choose to Play, a stake equal to your Ante is placed. At this point, the Pair Bonus is paid out if applicable. If you fold, you forfeit your cards and ante. The dealer’s hand is turned face-up and you’ll see if you won! The dealer must have at least queen-high in order to qualify. If the dealer qualifies, you have to beat their hand. If you win, your winnings are paid out and you can move on to the next hand. Casino Hold’em is your classic Texas Hold’em game with a casino twist. You are dealt two cards and there are five community cards, which you need to use to make the best five-card hand. If you’re familiar with poker or Pai Gow, you’ll be on board with this. The difference is that you’re playing the dealer, not other players, and you don’t have to worry about bluffing or all-ins or any of that other stressful poker stuff. You can also make a side bet on whether your hole cards plus the first three community cards will include a pair of aces or better. Make an Ante bet and an optional Aces Side Bet. You’ll be dealt two cards, with the dealer receiving two face-down. Three flop cards will be dealt, and you can now call and match your ante bet or fold and forfeit the hand. If you call, the last two cards are dealt and the dealer turns up their hand. If the dealer has at least a pair of fours, they qualify and you must beat their hand; if not, you win automatically! You might think you’re familiar with Tequila Poker, but that time you got drunk and played a local pub tournament doesn’t count – sorry! Tequila Poker is actually a mix of regular poker and blackjack. The rules are super-simple: you receive four cards, and then you must decide whether you want to go for a poker hand (Tequila Poker) or a points total hand (High Tequila). When you decide if you want to play for poker or points, you are dealt another two cards. The five best cards make up your final hand. In High Tequila, card points are the same as the points used for blackjack: face value for number cards, 10 for picture cards, but the ace is always 11. To win, your hand must total 46 or more. The highest hand total is 54, which pays out at 200/1. In Tequila Poker, your cards are used to make up the best possible five-card hand. The highest hand is a royal flush which pays out at 200/1. Matt Perry is a content writer and editor who has been working in the poker and gaming industry since 2007.